Host your next social event or other celebration at the beautiful historic Hotel Sutter. 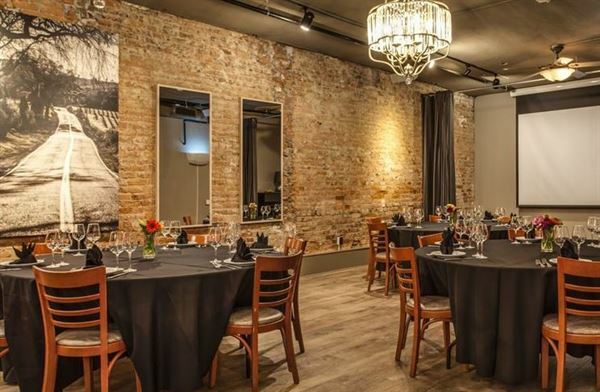 Looking for the perfect venue for your next celebration or event? Hotel Sutter is ideally located in the heart of downtown Sutter Creek and offers historic charm with modern functionality. Whatever the occasion, Hotel Sutter’s unique setting and affordable rates will give you more than one reason to celebrate. Work one-on-one with our professional Event Coordinator to ensure your celebration is seamless and stress-free. Our on-site restaurant, The Sutter, is available for catering and provides an elegant setting for a rehearsal dinner or other wedding events. Other potential venues include the Cellar Lounge, Lobby Bar and Balcony for smaller parties.